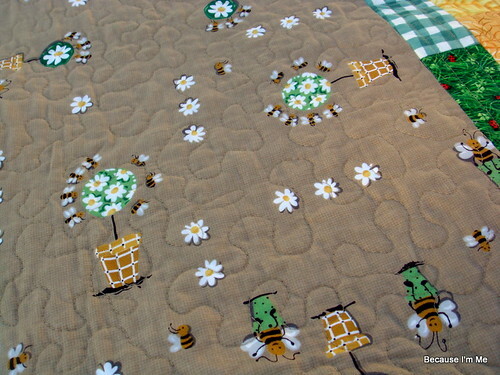 The quilt consists of bands of a wonderful bee and flower fabric and stripes of pieced greens and yellows. 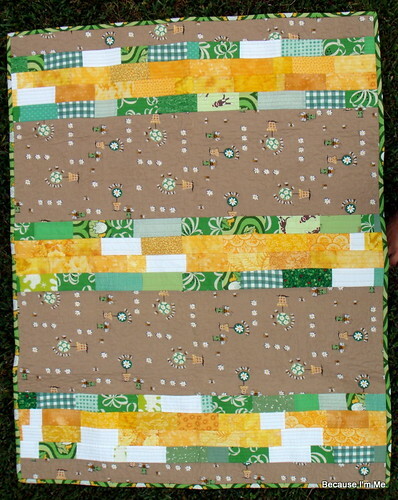 The quilting is done with free-motion stippling on the tan fabric and lots of straight lines on the greens and yellows. Tan thread was used throughout the top, pale green on the backside. 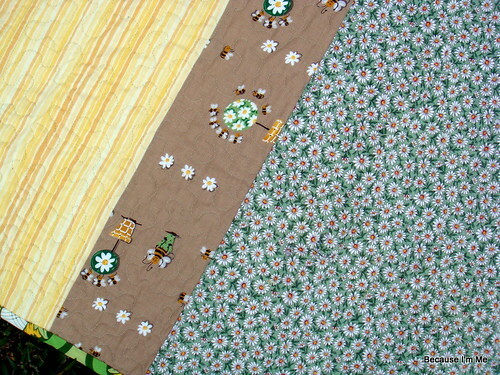 The backside is a super soft yellow stripe (amazingly soft), a bit of the bee fabric, and green daisy cotton. 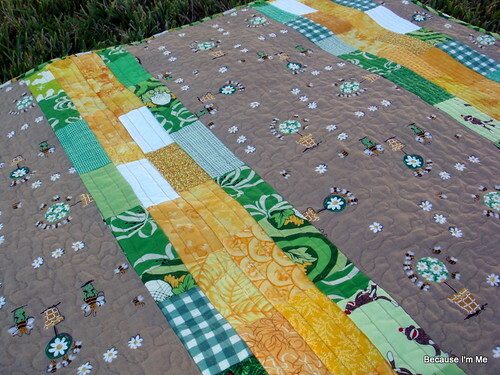 Absolutely love your fabric choices for this quilt!